Great location. Good breakfast, staff very courteous. The hotel was not worth the price. The breakfast was not special and the rooms were old and sheets had stains. The staff did not speak english at all, even though my portuguese is quite good. It was difficult communicating sometimes. 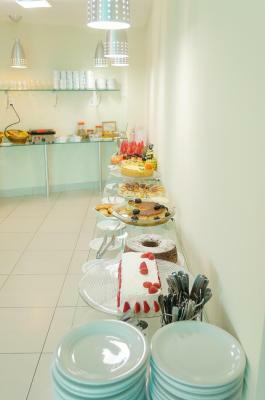 I liked the staff service and the options variety in the breakfast. The rooms were cleaned everyday and the sheets and towels changed every 2 days. Public areas were OK. I keep coming back, not Luxurius hotel but we like it. All you need for a short stay. Cama confortavel. Ar condicionado e elevador ok. Café simples; mas com todos oa itens básicos. Recomendo. Excelente localização! Cordialidade e simpatia dos funcionários. Ótimo custo benefício! Posso afirmar que a localização privilegiada chama atenção, pois apresenta fácil acesso a praia, ao centro histórico, shopping e transporte público da cidade. A próximidade do campus da Universidade (UFBA) e do Farol da Barra, também é outro aspecto positivo. Bom café da manhã, bom atendimento, e boa localização, enfim....tudo que se espera de um hotel. Pretendo voltar lá e repetir a estadia. Detalhe, a reforma em curso não atrapalhou em nada. A localização é muito boa, a meio caminho da Barra e do Rio Vermelho, próximo a ponto de Ônibus e em frente à praia. A equipe é muito agradável e solícita. O café da manhã é muito bom, com uma novidade diária. Bahia Sol e Mar This rating is a reflection of how the property compares to the industry standard when it comes to price, facilities and services available. It's based on a self-evaluation by the property. Use this rating to help choose your stay! 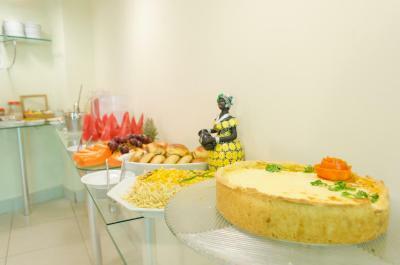 One of our top picks in Salvador.Bahia Sol e Mar offers air-conditioned rooms in a prime, beachfront location. One of Brazil’s finest beaches is just 10 minutes away on foot. All guest accommodations are equipped with TV, mini-bar and telephone. 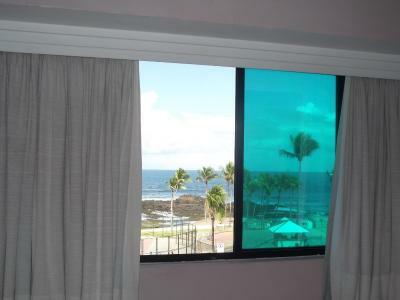 Free WiFi is available throughout the hotel, and some of the guestrooms also have ocean views. 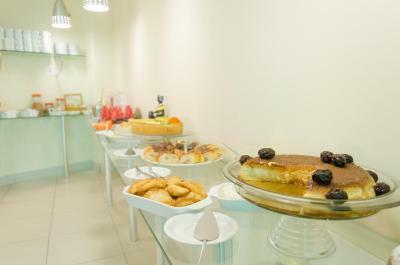 The hotel has a convenience store, and is also located close to many restaurants and bars. Porto de Barra Beach is just a 5-minute drive away and was recently selected as one of the top-10 beaches in the world. Salvador International Airport is 16 mi from the hotel. 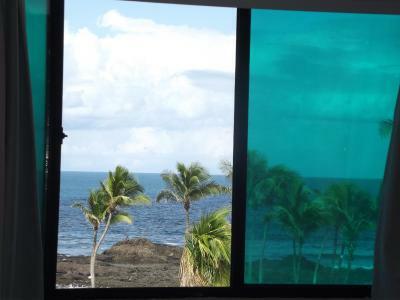 When would you like to stay at Bahia Sol e Mar? Equipped with air conditioning, this room contains a cable TV, a mini-bar and a private bathroom. It can accommodate 1 extra bed. Equipped with air conditioning, this room contains a cable TV, a mini-bar and a private bathroom. House Rules Bahia Sol e Mar takes special requests – add in the next step! Bahia Sol e Mar accepts these cards and reserves the right to temporarily hold an amount prior to arrival. For the facilities offered, it is a bit expansive. One key card per double room is not ideal. Cleanliness of the bed The look of the room The windows were blue so the whole hue of the room was blue. Weird atmosphere The breakfast was not healthy at all. Just cakes and some potatoes. The whole hotel needs to be refurbished, not only painted. The location is really good! The beds could be improved.